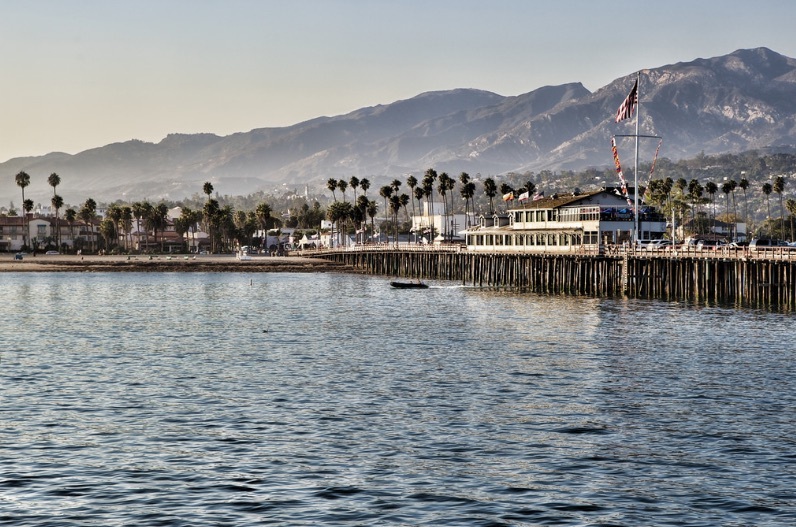 Unique Things to do in Santa Barbara on a Weekend Getaway from L.A.
Santa Barbara is often touted as the American Riviera and with its seaside views and many vineyards, the Central Coast destination does bear some similarity to its French counterpart. Yet Santa Barbara, located just 90 miles up the coast from Los Angeles and accessible via train, is certainly an easier trip for Angelenos. From the station, visitors can easily remain car-free as they explore the area’s many restaurants, shops, bars, and, of course, wineries and tasting rooms. There’s more to do here than we could possibly highlight, but the following includes some solid and unique options for a weekend getaway. Hotel Indigo resides a very short walk from the Amtrak station. Pack light, and you won’t even need to call a car. Room are modern, compact, and efficient. The hotel offers a daily selection of light snacks for peckish guests and shares a space with Mexican restaurant Santo Mezcal for larger meals. The hotel also serves as an MCASB Satellite museum, which accounts for their art curation. You can peruse the pieces scattered throughout the hotel’s communal areas, as well as their Art Library. Bike rentals, accessible rooms, and free wifi are available. – – Ideal for: Adventurous travelers who want a solid place to shower, sleep, and perhaps answer a few emails before exploring their destination. If an ocean view is key, the Hilton Santa Barbara Beachfront Resort a very short walk from the water and recently underwent a $16 million transformation from the Fess Parker hotel to the Hilton brand. The four-star property’s amenities include five restaurants, a spa, fitness center, pool, tennis courts, and free transport back to the Amtrak station. – – Ideal for: Those travelers who appreciate reliable amenities, convenience, and beautiful views. The Hotel Californian has its roots in a 1925 hotel of the same name that was devastated by an earthquake just shortly after it was built. The modern Hotel Californian comes via designer Martyn Lawrence Bullard. It’s an elegant luxury offering with Moroccan flair, and best of all, it’s located in a completely walkable area. Guest rooms are gorgeous and amenities include a Turkish spa, rooftop pool, all-day cafe Goat Tree, and contemporary restaurant Blackbird. – – Ideal for: Travelers who want a luxury experience in a walkable neighborhood. MOXI just opened in February of 2017, offering an interactive museum that both adults and kids will enjoy. Exhibits blend science, art, tech, and gaming, and include booths where one can create their own film soundtracks; VR exhibits and programming; instruments powered by wind and sun, and tracks where you can build and test your own mini-race cars. A recent exhibit even allowed us to convert the whorls of our fingerprints into music. For those who’d prefer evening activities sans kids, MOXI offers adults-only Afterparty nights. Check their calendar to find out when the next one is. — MOXI, The World Museum of Exploration + Innovation is located at 125 State Street. Admission is $15 for adults and $10 for children. Where else are you going to see 150 display cases full of over 4,000 dolls and teddy bears, not to mention some 10,000 books on the subject? Retired librarian Susan Quinlan founded the museum in 2005, amassing her collection over the course of 30 years. Guests will find dolls and bears of all types, crafted from a variety of materials. Some are fantastical, some are surprisingly lifelike, and some correlate to specific holidays or fictional characters (like this Medusa Mummy doll.) — The Susan Quinlan Doll & Teddy Bear Museum & Library is located at 122 West Canon Perdido Street. Open Friday-Monday, 11 a.m. to 5 p.m., and all major holidays. Because hours may vary, it is advised to call ahead at 805-730-1707. Relax in a dimly lit cave, entirely surrounded by pink Himalayan salt crystals, which, according to Salt‘s owners, date back 200 million years. Some love the salt for its purported healing properties; others may find the space perfect for meditation or a nap. You can lie on the floor among the crystals, or you can lounge in a zero-gravity chair while ambient music plays. There’s something quite relaxing about about the gentle crunch of the salt under your body as you make yourself comfortable. Standard sessions run about 45 minutes, but you can also sign up for cave yoga classes, sound baths, massages, salt scrubs, or workshops. A variety of bath and body products, including salt scrubs and soaks, are available in the gift shop. – – Salt is located at 740 State Street. Open Monday through Saturday, 10 a.m. to 7 p.m., Sundays 11 a.m. to 6 p.m. Sessions start at $25. A courthouse may not seem like a great vacation stop, but you’d be remiss to ignore this historic building. 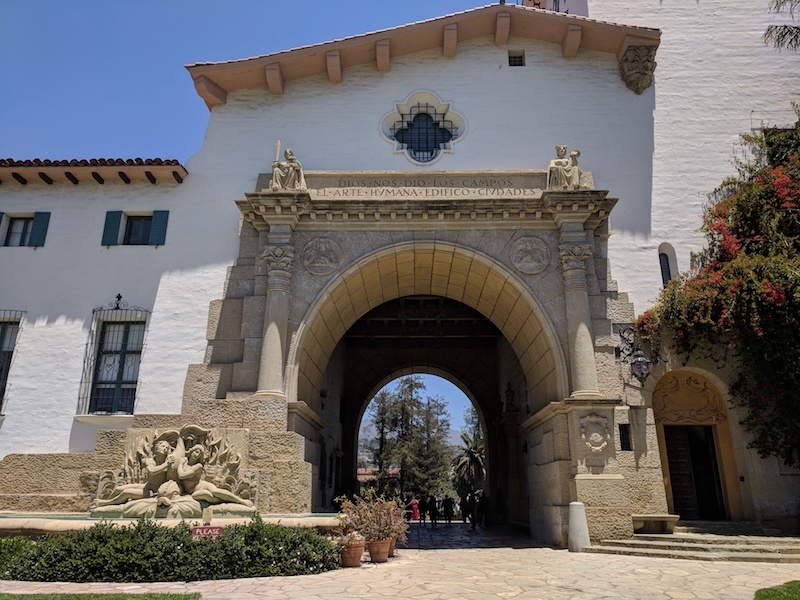 Built in 1929 in the Moorish-Spanish style, the palatial and operational courthouse is offers murals, gorgeous design, and a clock tower from which one can check out some stellar panoramic views from the Pacific Ocean to the Saint Ynez Mountains. Outside, you’ll find the Spirit of the Ocean fountain, a replica of an old sandstone fountain that had begun to fall apart. The spot is popular with photographers for obvious reasons, but history buffs will also enjoy the guided tours. – – The Santa Barbara County Courthouse is located at 1100 Anacapa Street. Daily tours are available at 2 p.m. and on weekends at 10:30 a.m. 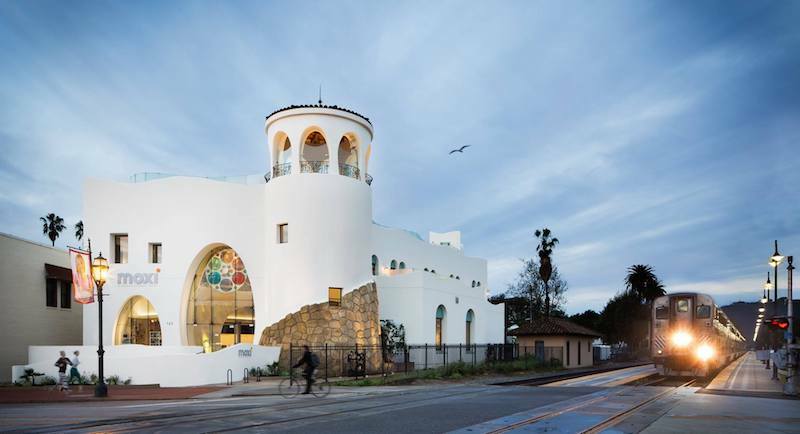 The Santa Barbara Museum of Art was founded in the 1940s and contains around 27,000 pieces of art, some dating back 5,000 years, as well as a store and cafe, an auditorium, and a library. Among their collection are several Monet paintings (apparently, no other museum in the world has more); David Alfaro Siqueiros’ mural “Portrait of Mexico Today, 1932”; and the 1940 photo series “London’s Honourable Scars: Photographs of the Blitz” from photographer Cecil Beaton. This collection is in addition to the museum’s various rotating exhibits. – – Santa Barbara Museum of Art is located at 1130 State Street. General admission for adults is $5. Opera singer Madame Gonna Walska began building a garden on her property in the early 1940s and would continue to exercise her green thumb until her death in 1984. 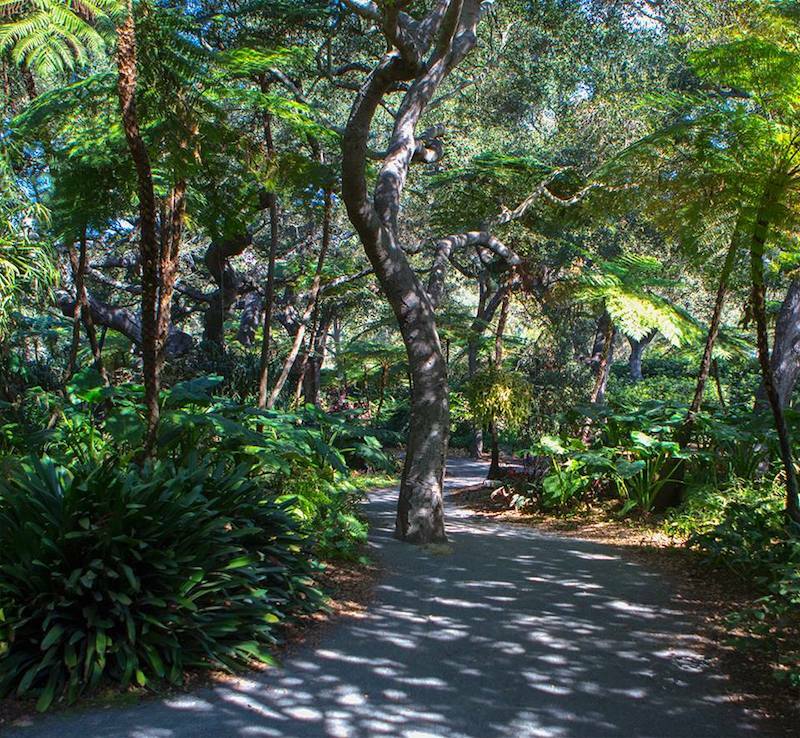 Today, the late singer’s 37-acre estate is a nonprofit botanical garden that the public may tour. There are numerous sections, including one full of plants meant to attract butterflies, a cactus garden, and a topiary. – – Lotusland is located at near Cold Springs Road and Sycamore Canyon Road; exact directions are mailed with tour confirmation. Two-hour guided tours are available February 16 through November 15, Weds. through Sat., 10 a.m. to 1:30 p.m. They are $48 for adults; $24 for ages 3 to 17. Those who become members may enjoy self-guided tours. 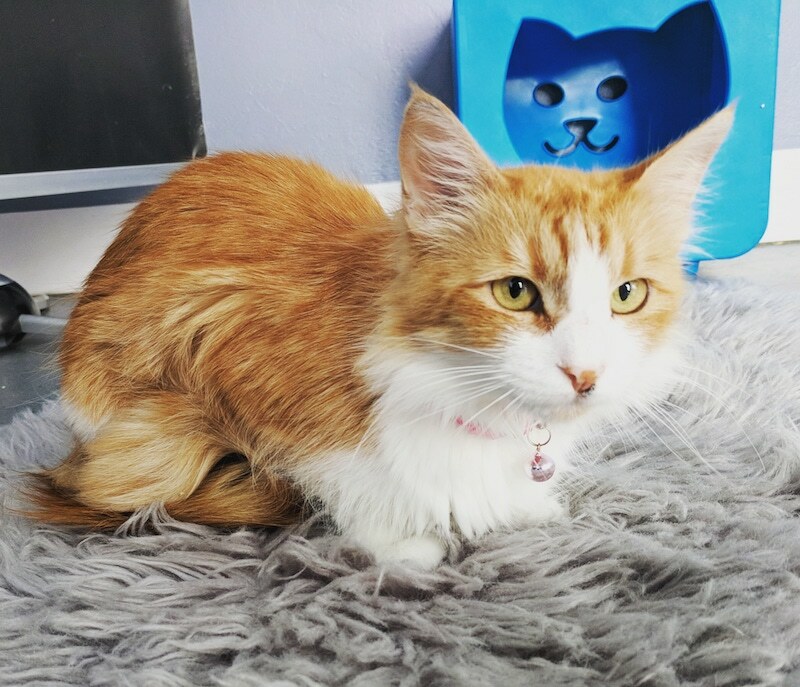 Santa Barbara’s cat cafe, Cat Therapy, offers a variety way to socialize with adoptable furry friends. Guests will generally get to meet around a dozen cats on any given visit. You can stop by during lounge hours, or sign up for an all levels yoga class, during which kitties freely roam. If you need to pause your downward dog to pet one that’s strolled onto your mat, that’s more than allowed. Did I perhaps use petting a fluffy black cat as an excuse to quit planking? Possibly. – – Cat Therapy is located at 1213 State Street, Suite L. Hour-long reservations are $10 on weekdays; $12 on weekends; $7 on Thursdays between 3-6 p.m.; or free on your birthday. Cat Yoga is $25 for an hour-long class, plus an additional half hour for socializing with cats. Mats provided. For groups who just can’t agree on what to eat, the Santa Barbara Public Market is a food hall with a wide array of options including noodle bar Empty Bowl, Ca’ Dario for pizzas and pastas, and Big Eye Raw Bar. You can also sample oils and vinegars at il Fustino, or get a scoop of Rori’s Artisanal Ice Cream’s fantastic Brown Sugar Banana. – – Santa Barbara Public Market is located at 38 West Victoria Street. For a quick, but flavorful bite, stop by Norton’s Deli. This New York-style eatery serves Hebrew National hot dogs smothered in toppings and hearty subs, Philly cheesesteaks, and sandwiches. Key is Mom’s PLT, in which crispy pastrami subs for bacon alongside lettuce, tomato and chipotle mayo on toasted sourdough. Unsurprisingly, Guy Fieri was a fan when he stopped by for Diners, Drive-ins and Dives. – – Norton’s Deli is located at 18 W Figueroa Street. The Black Sheep is a casual gastropub with cool, low-brow art; a creative cocktail menu; and global fare suitable for sharing. 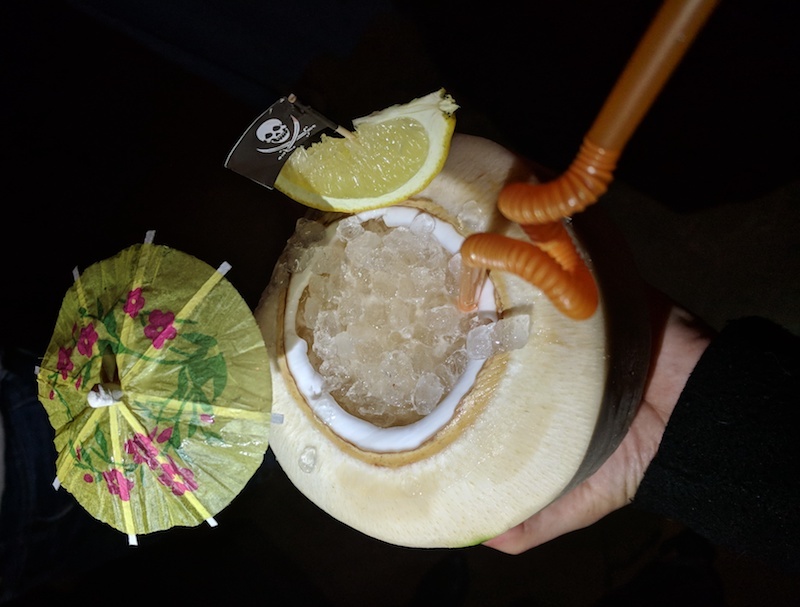 Cocktails are not made with hard liquor, but instead utilize sake, wine, vermouth and other spirits for light twists on classics like the Yuzu margarita or a Manhattan made with a bourbon-infused sake. Menu standouts include the oxtail poutine, purple potato tacos, nachos made with roasted cauliflower and fried kale, and the very tender braised beef cheeks. For $60/person, enjoy a family-style tasting menu. – – The Black Sheep is located at 126 E 6th Street. Roy has been around for over 20 years, serving classic American fare at reasonable prices. This laid-back lounge isn’t specifically a late-night spot, but it is a good one if you’re in the mood for a cheese plate and a gimlet or glass of wine after dark. It’s ideal for conversation among friends and strangers, and the art selection on the walls rotates regularly. – – Roy is located at 7 W Carrillo Street. There is no shortage of wineries and tasting rooms in Santa Barbara. One option is The Valley Project whose tasting room is focused on displaying the diversity of Santa Barbara County’s American Vitacultural Areas (AVA). An AVA is a region where wine grapes are grown, each one defined by its own geography, each resulting wine with its own terroir. 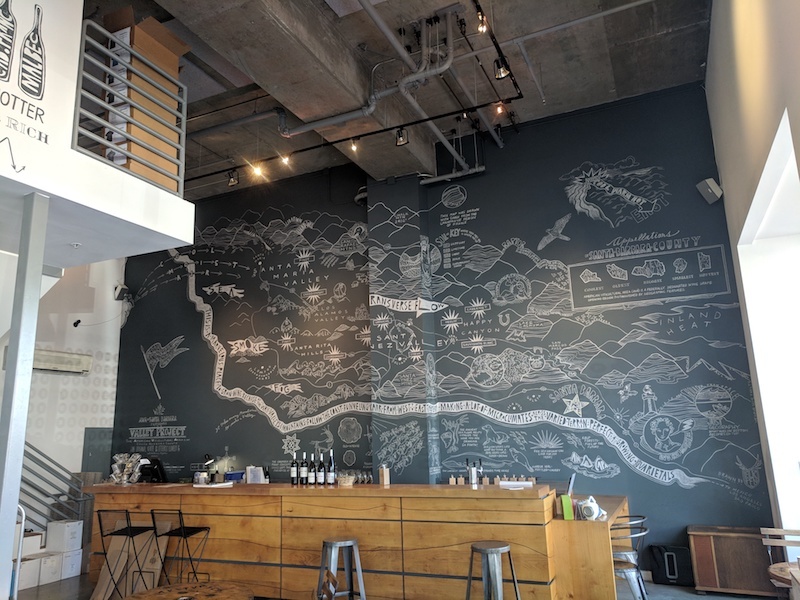 Guests will find a large chalk mural of the region via L.A. artist Elkpen as they enter, then can learn about the region via soil samples and wine tastings. – – The Valley Project is located at 116 E Yanonali Street. Chuck’s is the kind of long-standing, casual restaurant you’d expect in a coastal town. Enjoy steaks, seafood, cocktails and wine right on the harbor, perhaps while seated outside at a table with a fire pit smack in the middle for when chillier temperatures roll in after sunset. – – Chuck’s is located at 113 Harbor Way. This Funk Zone cafe is ideal for grabbing a coffee and a sweet or savory pastry before going about your day. But if it’s a more leisurely morning, you can also take a seat at one of the communal tables with a comforting buttermilk biscuit sandwich or breakfast bowl. Come lunch, they offer sandwiches, salads, and soups, too. The bakery belongs to the Acme Hospitality family, which has several restaurants in the area. 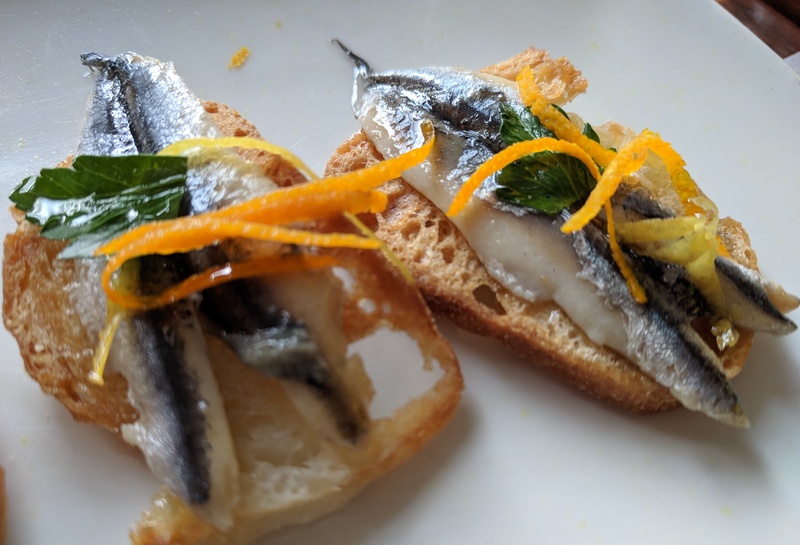 Helena thus shares an address with siblings The Lark, one of Santa Barbara’s favorite restaurants for seasonal, contemporary cuisine and drinks, and wine bar Les Marchands, where Helena’s delicious breads are fully utilized come weekend brunch. 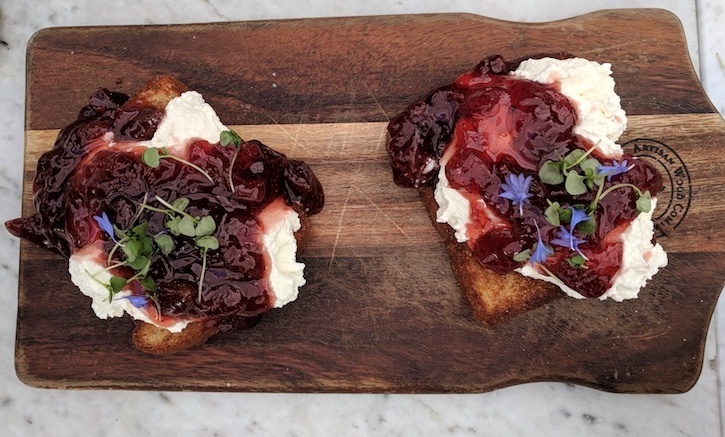 Both the avocado toast and house-made ricotta and strawberry jam on brioche are excellent. 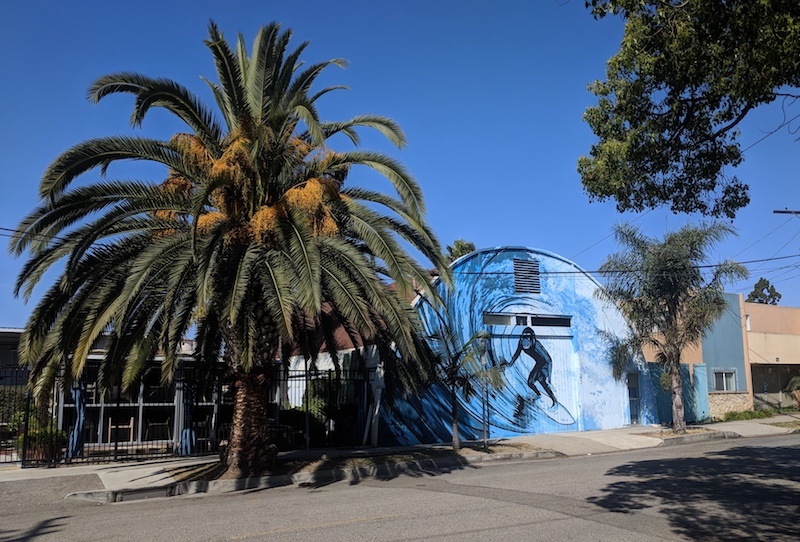 – – Helena Avenue Bakery is located at 131 Anacapa Street. The draw of this family-run Mexican restaurant is two-fold: People love their house-made corn tortillas, and among those people was chef Julia Child, who frequently extolled the glories of this particular eatery. This causes visitors to flock accordingly, and you can count yourself among them if you want to see if it lives up to the hype. Or, if looking to stray from this hotspot, stop by the nearby Taqueria El Bajio, which opens at 7 a.m. for breakfast. – – La Super-Rica Taqueira is located at 622 N Milpas Street. Looking for more getaway ideas from Los Angeles? Check out our travel section. Juliet Bennett Rylah is a Los Angeles-based freelance journalist with bylines including LAist, LA Magazine, TimeOut LA, Nerdist, Thrillist, Vice, The Telegraph, and others.